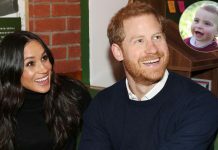 MEGHAN Markle has gushed that her husband Prince Harry will be a “fantastic father” ahead of the arrival of their royal baby in April. 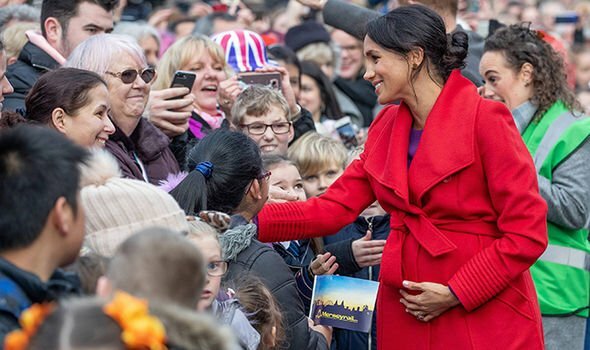 The pregnant Duchess of Sussex told wellwishers she was “thrilled” to be expecting her first child, which is due at the end of April, during a royal walkabout in Birkenhead. Mother-of- three Rebecca Blundell, who lives in Birkenhead, was joined by her six-year-old daughter Lily and Lottie, two, when she was lucky enough to speak to the couple about their unborn child. She revealed how Harry asked the spelling of her daughter’s name Lily before saying: “Meghan came straight up after and said that he’s going to be a fantastic dad. 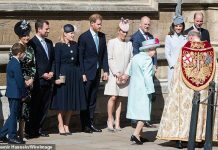 Meghan also revealed some other details of her pregnancy to well-wishers in the crowd. 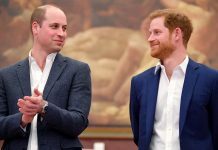 Speculation around Meghan’s due date has been rife, with the only clue being Kensington Palace’s statement that her baby was due in the spring. 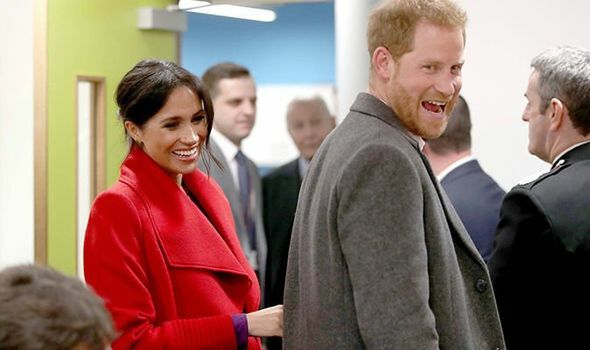 But now we know a little more about when we can expect the patter of tiny royal feet after comments Meghan made to fans. 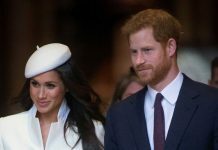 Local resident Kim Thompson added: “Meghan said she is six months pregnant and due at the end of April, beginning of May. “Another woman in the crowd joked that she was a trained midwife. Meghan said that one of her friends had given birth five weeks early and the midwife said the baby comes when they are ready. 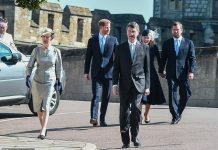 Meghan Markle and Harry paid their respects to acclaimed First World War poet Wilfred Owen in Birkenhead on Monday. They went to view a sculpture in the town’s Hamilton Square to mark the 100th anniversary of his death. 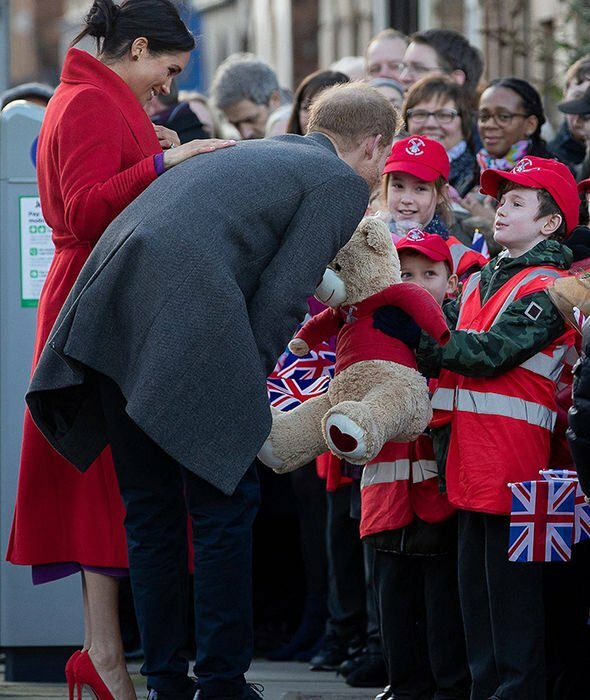 The couple also met visited an organisation supporting women in vulnerable situations and a centre for young people. They were welcomed by Frank Field, Birkenhead’s MP, who said he had invited the couple to his constituency, to help them “get a real feel for the area’s people”. Next articleKate Middleton news: Did Kate REALLY have a poster of William on her wall before they met?